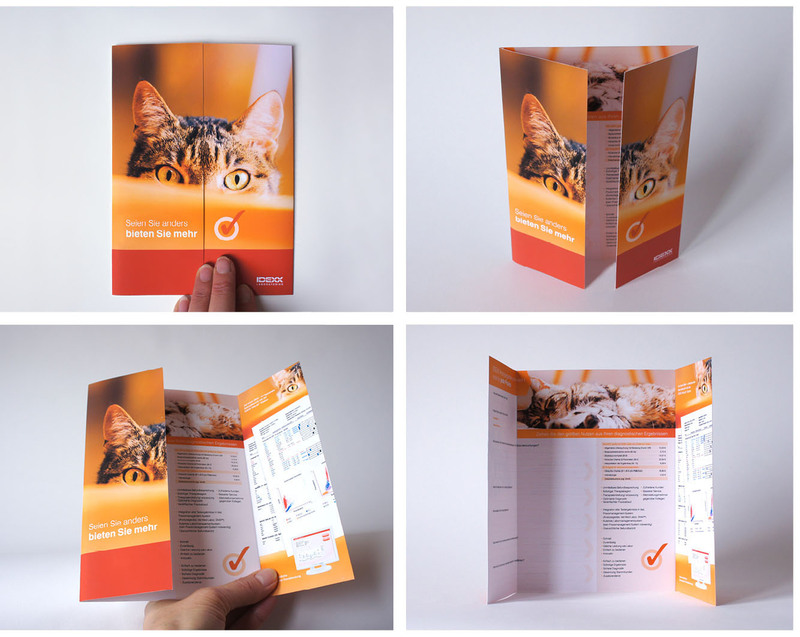 Obtain information while giving information with purposeful design. IDEXX Laboratories is a worldwide supplier of products and services for veterinarians. 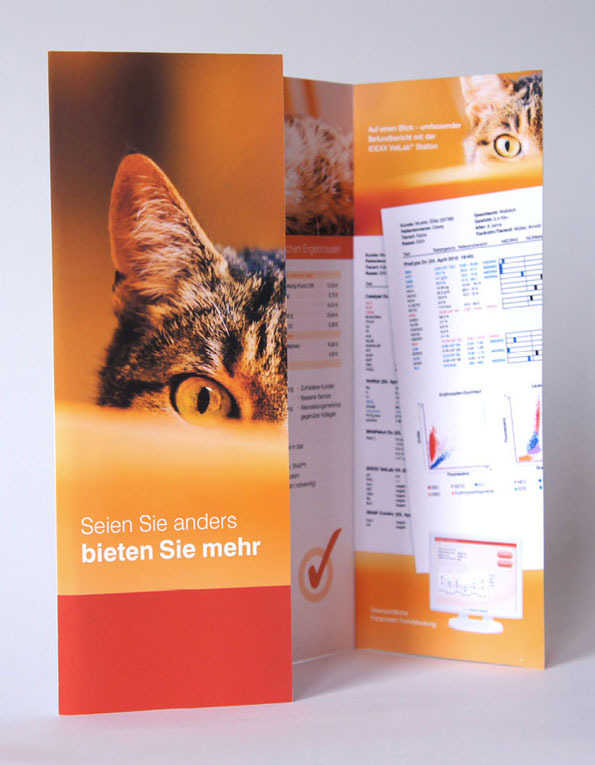 The German office asked me to create a brochure for their veterinarian clients. It was to explain the advantages of their products and services, while also acting as a survey. When visiting veterinarians, a sales agent would use the brochure to explain equipment benefits, while learning from the vets what they would expect from the product. I like to structure complex information so it’s readily digestible. It is essential to decide what the key message is and which information should follow when. Above all design clarity and legibility are my priorities. Do you need help in structuring the information you want to communicate? Let me know!